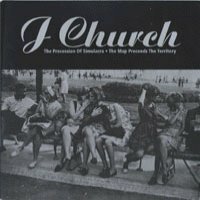 From Lance's original J Church website: "This is basically the domestic version of the Soul Patch And Cho Chos album (however with four missing tracks). Why I Liked Bikini Kill is a new version with Caroleen from the Bedlam Rovers singing. Tea Time is a secret four-track song." Reed plays drums on everything except Stupid Lesson, which was recorded at the third-ever J Church show at Klub Kommotion in San Francisco. No studio version of that song was never released and the song was never played after that show. See the Soul Patch... page for Lance's further description of the songs. Case Number has a longer title on that other release.